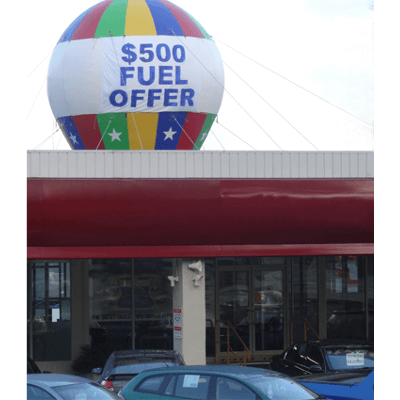 If you need an attention-grabbing way to promote your bricks-and-mortar shop, nothing attracts attention like a GIANT balloon on top of your business’ roof! Our experience has proved that these a great advertising tool. 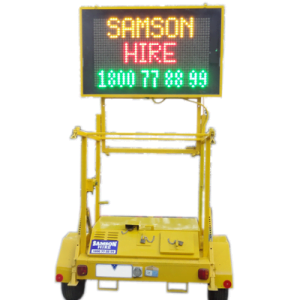 Whether you have a sale on, you have just started a new business in the area or you just want to make sure you stand out from the crowd and grab people’s attention, this is the perfect way to do it. 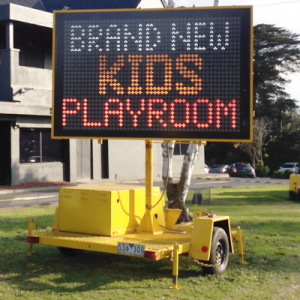 Be seen from afar and easily communicate the information you want to everyone who passes by or is in the vicinity with the rooftop balloons we have for hire around Melbourne. On top of the eye-catching rooftop balloons we proudly offer our customers, we’re also able to deliver on many other options as well. 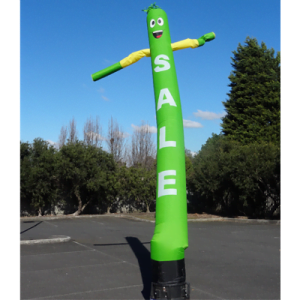 Included in our product range you’ll find everything from the famous inflatable dancing men, plus variable message signs to display a digital message (which can be changed remotely) and more. 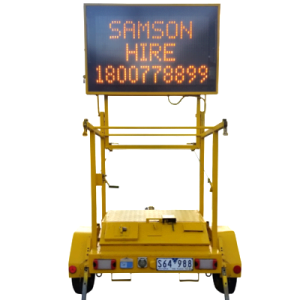 We also stock a wide variety of different roadwork equipment to assist with traffic. You’ll be surprised just how competitive the prices we offer are – why not give us a call on 1800 77 88 99 now and find out precisely what they are?